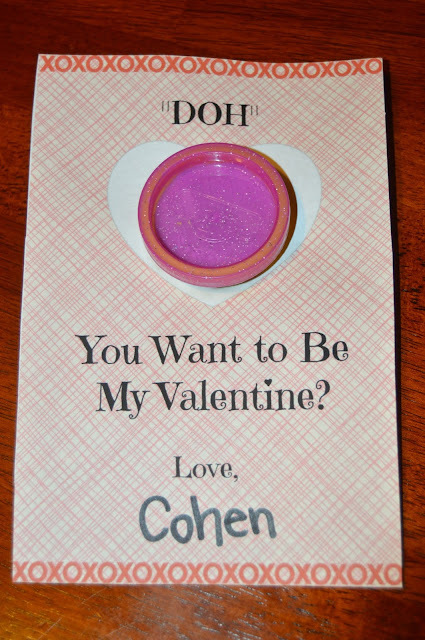 High Heels and Mommy Ordeals: "Doh" You Want to Be My Valentine? 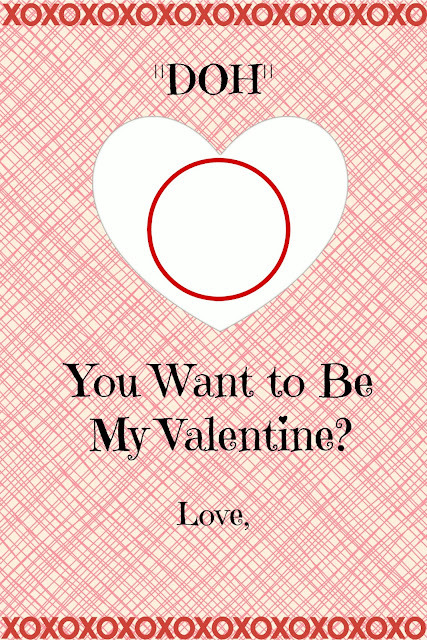 One of my favorite holidays as a teacher is Valentine's Day. I love to create little cards for my class to pass out. The last few years I've decided against candy and created Valentines with novelty items like pencils, bubbles and fun straws. Since I'm not in the classroom this year, I decided to make cards for Cohen to pass out to his friends. He was very adamant on getting gummy bracelets but as I mentioned the word Play-Doh, he was okay with doing those cards too. I whipped these puppies out on PicMonkey and it was kind of ridiculous how easy they were to make. You can print them out on cardstock or use cardstock as a backing to make them thicker. Then you just cut the little holes out in the middle, put your Play-Doh in there and secure it with a cute piece of Valentine's themed tape that can be found in the dollar bin at Target. I included the link to the printable below. When I printed mine, I scaled it to 30% and they came out to the perfect size. I'm going to let Lola hand out a few of these to her friends from her old class just so she doesn't feel left out. Okay and because they are too fun to make.